Shopping for G.I. Joe Construction Toys? Save the day with the Kre-O G.I. Joe Ghoststriker X-16 Set! Includes 2 Kreon mini-figures. Spanning decades of G.I. 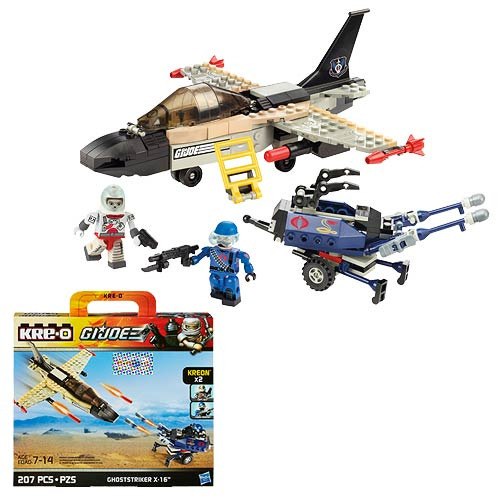 Joe, this set includes the Ghoststriker X-16 jet and a deadly Cobra anti-aircraft vehicle. The Cobra Trooper wants to take down Captain Ace, but the Ghoststriker jet has an opening hatch and a rotating turret - who will come out the victor? Only you can decide! 207 pieces.